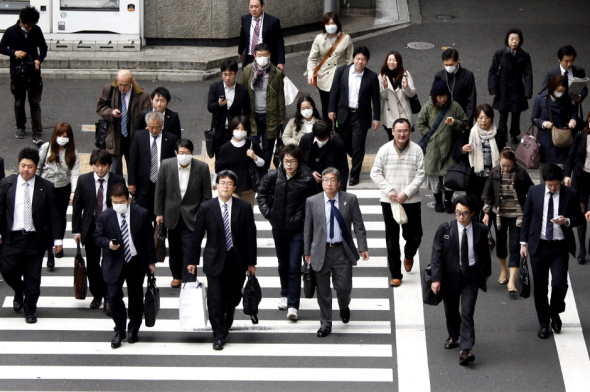 Tokyo – Japan’s Parliament is proposing legislation to ensure workers get the rest they need. In a break with past practice, it will become the legal responsibility of employers to ensure workers take their holidays. Japan has been studying such legislation for years. There has been more impetus for change since 2012 as a consensus developed that the health, social and productivity costs of Japan’s extreme work ethic were too high. Working literally to death is a tragedy so common that a term has been coined for it: “karoshi.” The government estimates there are 200 karoshi deaths a year from causes such as heart attacks or cerebral hemorrhaging after working long hours. It’s also aware of many [with health issues] from overwork not counted as karoshi. About 22 percent of Japanese work more than 49 hours a week, compared with 16 percent of Americans and 11 percent of French and Germans, according to data compiled by the Japanese government. South Koreans seem even more workaholic at 35 percent. Wakebe himself routinely does 100 hours of overtime a month, and took only five days off last year, one of them to stay home with a cold. He managed to take a vacation to Hawaii with his family. Younger workers feel uncomfortable going home before their bosses do. Working overtime for free, called “sah-bee-soo zahn-gyo,” or “service overtime,” is prevalent. Venezuelan President Nicolas Maduro has ordered the takeover of a private supermarket chain by the government’s food agency. Last week, soldiers and government workers were sent to branches of a large supermarket and pharmacy chain to supervise sales. Venezuela’s economy has been heavily affected by the drop in oil prices. Analysts also say the socialist government’s currency controls that restrict the availability of dollars for imports has played a key role in creating the scarcity of many items. Directors and executives from both Dia a Dia and pharmacy chain Farmatodo were arrested on charges of destabilizing the economy. He said the chain “was waging war against the population” and the national food distribution agency would take over its running. Mr. Maduro has said many businessmen are conducting an “economic war,” colluding with the political opposition to oust his government. In late January, thousands of Venezuelans joined an opposition march [against Maduro’s leftist government] in Caracas. They voiced dissatisfaction with high inflation, crime and the shortage of many staple goods. 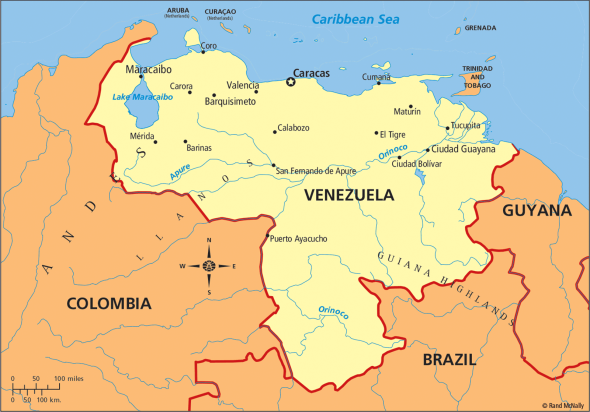 [Venezuela entered recession last year while inflation soared to 64 percent. Adding to the economic crisis, oil prices have drastically dropped, forcing Maduro to order government budget cuts. Shortages of food and medicine have worsened in Venezuela this year, causing longer lines than usual. Jerusalem – Prime Minister Benjamin Netanyahu says Israel will do everything it can to prevent world powers from reaching a “bad and dangerous deal” with Iran over its disputed nuclear program. 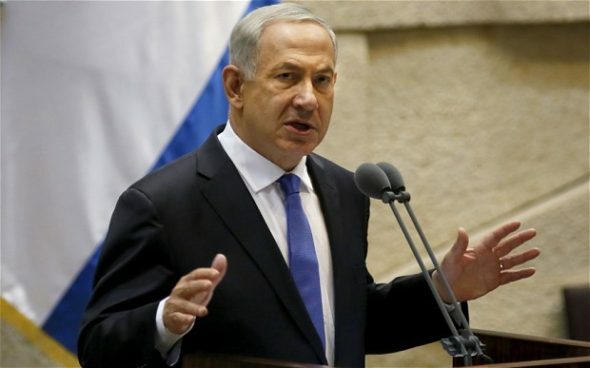 The Israeli leader has repeatedly said Iran is acting in bad faith in the negotiations. The United States, the other members of the U.N. Security Council and Germany hope to clinch a deal setting long-term limits on Tehran’s uranium enrichment [and has been trying to do so for years]. The United States and its five negotiating partners, the other members of the U.N. Security Council and Germany, hope to clinch a deal setting long-term limits on Tehran’s enrichment of uranium and other activity that could produce material for use in nuclear weapons. Iran says its program is solely for energy production and medical research purposes. It has agreed to some restrictions in exchange for billions of dollars in relief from U.S. economic sanctions. From Tehran, Supreme Leader Ayatollah Ali Khamenei, who has the final say on all major decisions, said in a statement on his website Sunday that Iran agrees with Washington that no agreement is better than an agreement that doesn’t meet its interests. “Sanctions are a liability, you need to get rid of them if you want a solution,” he said. b) For what reasons do Japanese corporate employees work long hours and decline to take all of their vacation days? b) For what reason did President Maduro have officials from the two chains arrested? c) Read the “Background” on Venezuela below the questions. 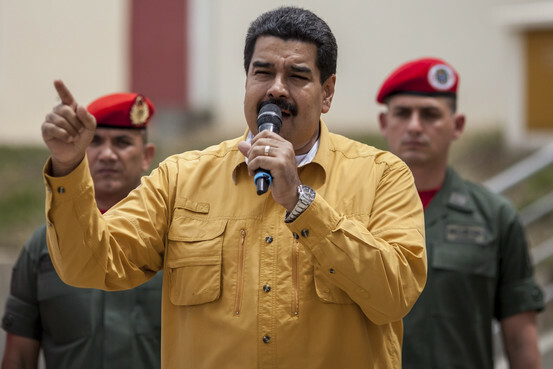 President Maduro accused Dia a Dia of hoarding food during huge shortages in the country. A YahooNews reader commented: ‘He has accused companies of hoarding goods to keep “the population irritated, suffering” in order to fuel discontent against the government.’ I don’t know of any company that wants to lose money in order to fuel discontent. Don’t they still teach basic economics at Venezuelan universities? b) Read the “Background” on Israel below the questions. Iranian Foreign Minister Mohammed Javad Zarif said all sanctions against his country should be lifted, saying that if they had been intended to stop its nuclear ambitions they had failed. He said when sanctions had been imposed, Iran had 200 centrifuges, and “now we have 20,000.” Iran has continued for years to work on its nuclear weapons program. How important is it for the U.S. and our allies to deter Iran from getting a nuclear weapon? Explain your answer. c) Read the “Background” on Israel below the questions. Which country do you think is more likely to attack the other (or us) with a nuclear weapon: Israel or Iran? Explain your answer. College-educated and gainfully employed 36-year-old Eriko Sekiguchi should be a sought-after friend or date, planning nights on the town and faraway resort vacations. But she works in Japan, a nation where workaholic habits die hard. Often toiling 14 hours a day for a major trading company, including early-morning meetings and after-hours “settai,” or networking with clients, she used just eight of her 20 paid vacation days last year. Six of those days were for being sick. “Nobody else uses their vacation days,” said Sekiguchi, who was so busy, her interview with the Associated Press had to be rescheduled several times before she could pop out of the office. Most of the affected workers are “salarymen” or “OL” for office ladies like Sekiguchi, so dedicated to their jobs that they can’t seem to go home. They are the stereotypes of [Japan’s business world]. When night falls in Tokyo, groups of dark-suited salarymen can be seen drinking at drab lantern-bobbing pubs under the train tracks, unwinding before heading home. They laugh, guzzle down their beers and pick at charcoal-broiled fish. Ask any of them: They haven’t taken many days off. One said the 12 days he took off last year were too many. Regulating time off might be easier to implement if the economy improves under Prime Minister Shinzo Abe’s anti-deflationary policies that weakened the yen, a plus for giant exporters such as Toyota Motor Corp.
Enriched uranium is a critical component for both civil nuclear power generation and military nuclear weapons. The UN’s International Atomic Energy Agency attempts to monitor and control enriched uranium supplies and processes in its efforts to ensure nuclear power generation safety and curb nuclear weapons proliferation (buildup). The IAEA has consistently stated it is unable to conclude that Iran’s nuclear program is entirely peaceful. Why are all sides suddenly interested in a deal? Sanctions have helped to wreck Iran’s economy. In particular, the vital oil industry is on its knees. In June last year, Iran was still the second-biggest oil producer in Opec after Saudi Arabia, pumping 3 million barrels per day. By this September, its daily production had tumbled by 400,000 barrels to 2.6 million. Given that oil prices exceed $100 per barrel, that fall represents a loss of billions of dollars. So Iran needs to compromise over its nuclear ambitions in order to ease the burden of sanctions. America and its allies, meanwhile, want to contain a nuclear programme that advances month by month and would eventually give Iran the option of building the ultimate weapon.